A purpose built, self-sufficient, luxury wellness centre is set to open in spectacular surroundings near Queenstown, New Zealand on January 12, 2014. Aro Ha offers innovative all-inclusive wellness adventures. The program blueprint has been refined over the last 10 years and is based on Vinyasa Yoga, sub-alpine hiking, functional strength training, meditation, therapeutic massage, and detoxifying vegetarian cuisine. Aro Ha is evolving the model of detox spa retreat, where multiple aspects of wellness are combined into one condensed experience. It’s a place where people come to change their perspective, and return to centre. Bodies become lean, strong, and flexible, as minds become calm, clear, and present. A few proven effects of this type of program include lifting depression, improved learning, increased self-esteem, weight loss, and improved body image. Designed and constructed by a team of New Zealand's leading consultants, Aro Ha exemplifies best practices for living in balance with nature while meeting our modern needs. Localised food production from permaculture gardens is used to create a signature menu designed by chef Suzie Bohannon. Off-grid power capability, Passive Haus building techniques, and New Zealand's first renewable distributed heating scheme all ensure the retreat treads lightly on the local environment. Two friends, Damian Chaparro and Chris Madison, have created Aro Ha. 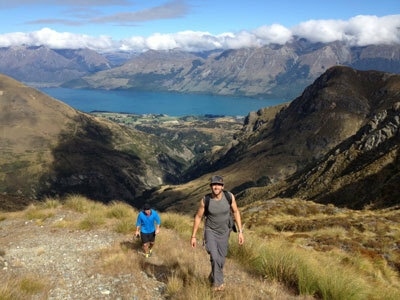 Surrounded by the Southern Alps and overlooking Lake Wakatipu, Aro Ha welcomes its first lucky guests January 12, 2014. For more information, visit aro-ha.com.